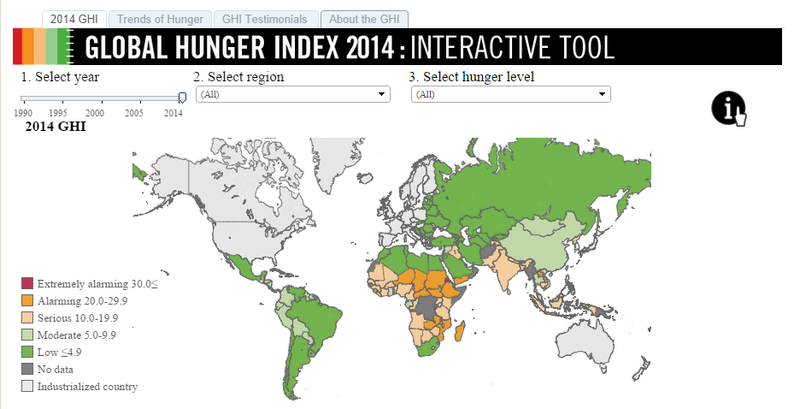 Earlier in the week, the Tableau Viz of the Day featured a dashboard showing the results of the 2014 Global Hunger Index report. So I downloaded the workbook and put together my own story around this data. As I did with my last viz, I had to do a lot of sketching and exploration of the data before I recognized the key stories I wanted to highlight. Click the image below to interact with the viz. I’d be interested to hear whether this alternative view makes the data more accessible.